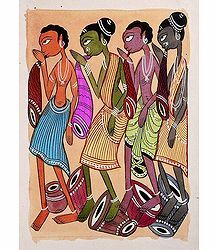 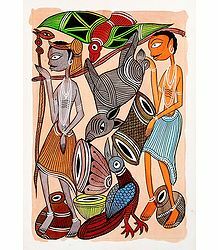 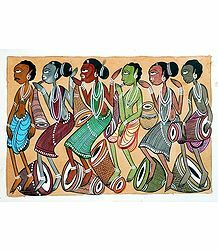 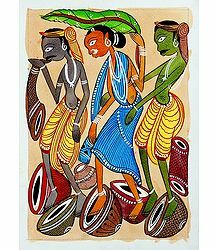 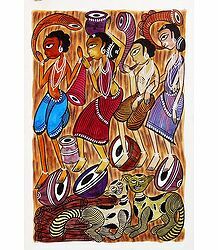 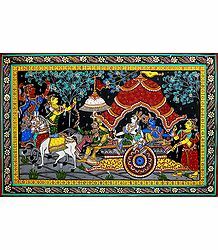 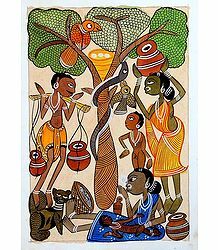 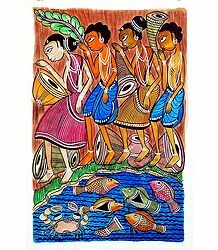 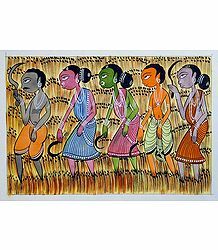 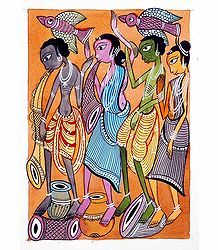 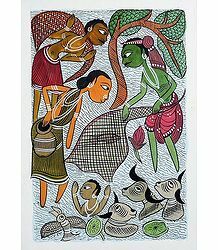 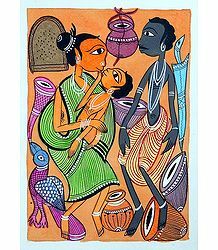 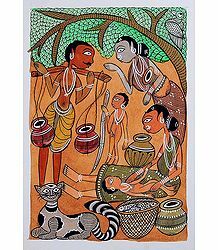 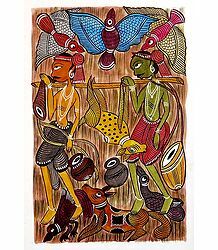 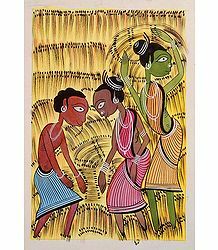 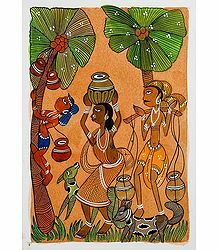 Find the best of Indian art painting in this collection of folk art painting from various regions of India. 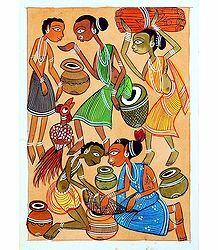 These Indian paintings depict Indian life through various schools of Indian art. 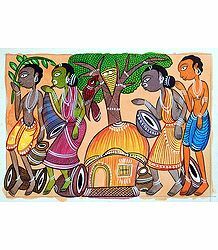 Some painting have a very old style and some are relatively modern paintings. 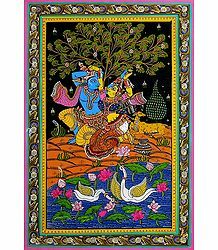 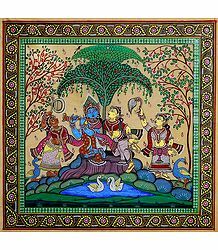 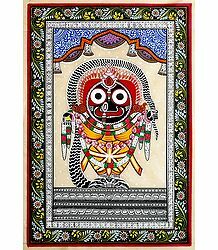 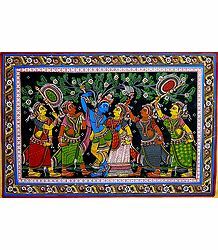 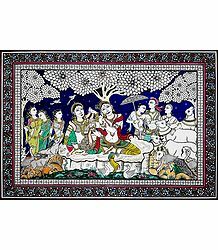 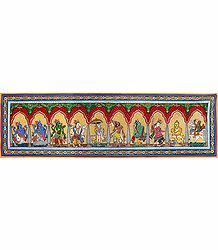 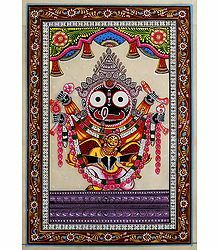 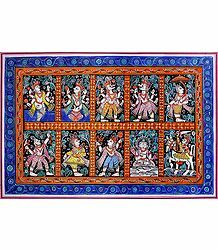 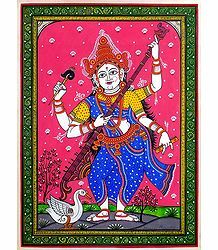 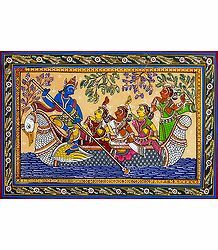 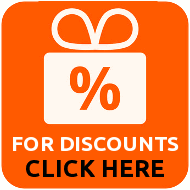 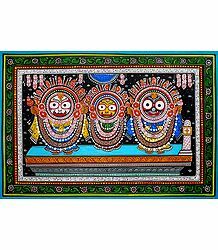 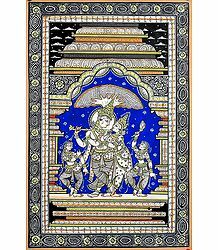 Here you can find the finest Indian Folk Art, including Madhubani Paintings from Mithila, Bihar, Paata Paintings or Patachitra from Orissa, and Kalamkari Paintings, all sourced directly from Indian Villages.